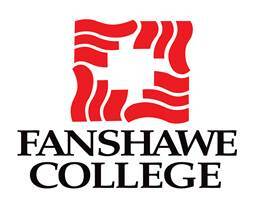 ü Fanshawe College is located in the city of London, Ontario. ü 110 acres campus with 18 independent buildings. ü One of the largest Colleges in Canada providing real world career training for more than 40 years. ü 200+ full-time programs, including graduate and degree programs. ü Providing education to 43000+ students. ü Numerous programs with in - built Internships. ü Scholarship opportunities for the students based on IELTS score. ü A Bachelor’s Degree with minimum 50%. ü IELTS 6.5 with no band less than 6.0. 2. Construction Project Management (Should have 60% in graduation). 3. Electronics Embedded Systems Development (Should have 60% in graduation). ü Minimum Std. 12 with 50%. ü IELTS overall 6.0 with no band less than 5.5. (Few programs may have specific higher IELTS requirements). ü Free Airport pick up. ü Free 3 nights accommodation initially provided by the college. ü Assistance in finding permanent accommodation.